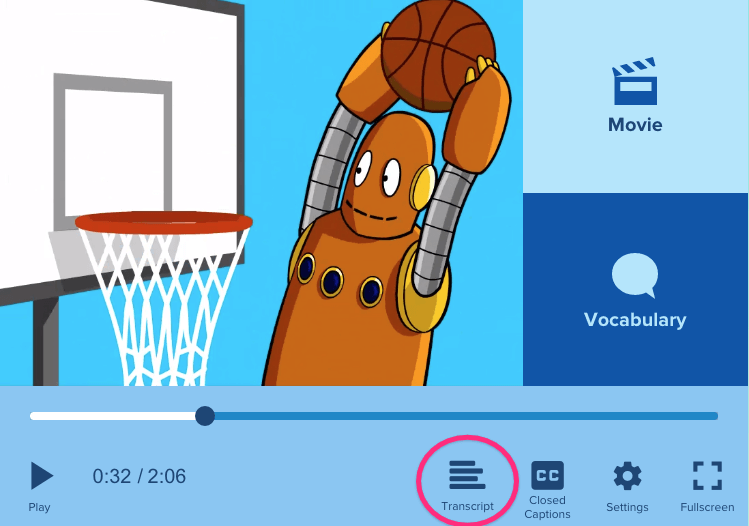 Every BrainPOP ELL lesson includes three movies: a main movie, a vocabulary movie, and a grammar movie. 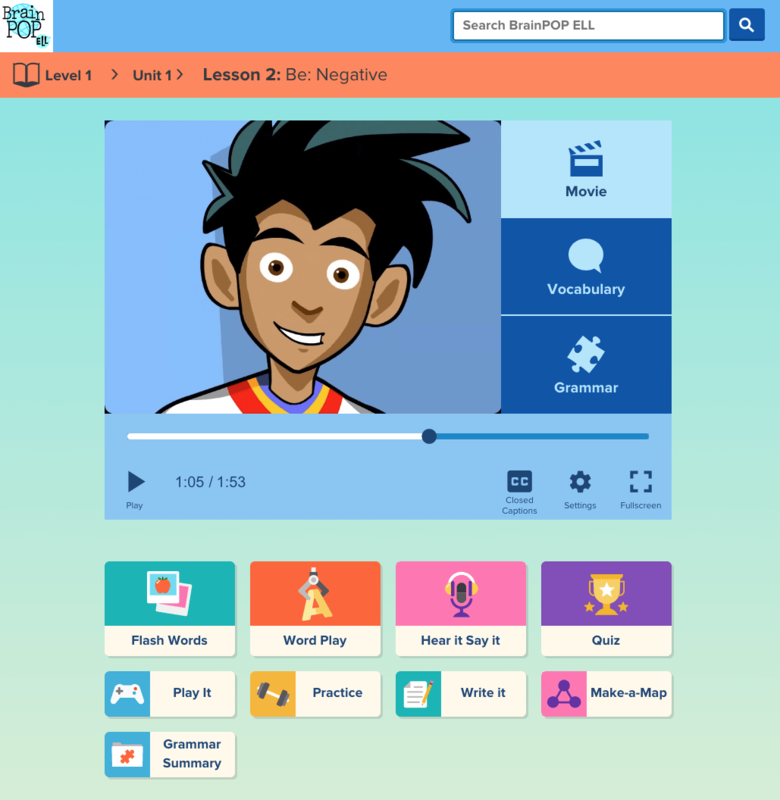 Each BrainPOP ELL movie introduces 12-15 new vocabulary words and a grammar topic modeled through the conversation, animation, and storyline. Are BrainPOP ELL movies closed captioned? Yes. All BrainPOP movies have a closed-caption option. While the movie is playing, click CC in the movie player controls to toggle the closed-captions on or off. Is there any way to slow down the speed of the movies? Do BrainPOP ELL movies have transcripts? Each lesson’s main movie has a transcript. You can access them by clicking Transcript below the movie. The grammar and vocabulary movies for lessons do not yet have transcripts. How do I cite a BrainPOP ELL movie? “Lesson Title.” BrainPOP, Date Viewed, URL. “Personal Pronouns.” BrainPOP, 15 Jan. 2018, https://ell.brainpop.com/level1/unit1/lesson1/.